Avoid a candy overdose this Halloween with something a lot healthier. 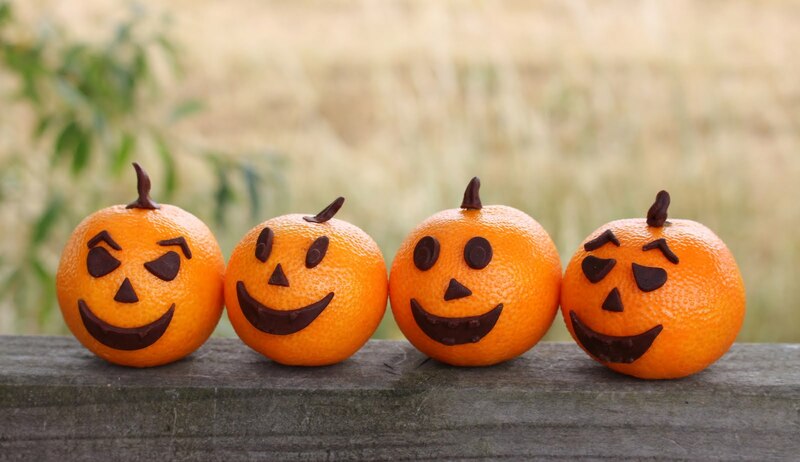 Disguise tangerines as scary mini pumpkins, it’s so incredibly quick and easy all you need is Katy Sue Designs Pumpkin Face embellishment mould and some modelling chocolate. I used dark modelling chocolate (Squires Kitchen) to make the pumpkin features so in this case there is no need to dust the mould with cornflour. Also required is some edible glue and a small paint brush.